SPACIOUS EXPANDED RAISED RANCH ON WONDERFUL .71 ACRE LOT!! 2,050 SQ FT WITH ADDITIONAL 864 SQ FT IN FINISHED LOWER LEVEL TOTALLING 2,914 SQ FT!! 3-4 BRS & 3 FULL BATHS!! MAIN LEVEL HAS LIV RM W/HW FLOORS AND 3 BRS W/HW FLOORS! FULL BATH WITH ADDITIONAL ACCESS FROM MASTER BR! EATIN KITCHEN WITH SLIDERS FROM DINING AREA TO 12X16 COVERED PORCH OVERLOOKING PRIVATE BACK YARD! HUGE 25X27 GREAT ROOM ADDITION OFF THE BACK OF THE HOUSE WITH A 'SUMMER KITCHEN' AND ITS OWN FULL BATH & DOOR TO 21X30 BRICK PATIO!! FINISHED LOWER LEVEL INCLUDES WHAT IS USED AS THE 4TH BR AND LARGE FAMILYROOM WITH A FIREPLACE AND SLIDERS TO COVERED PORCH & PATIO!! 3RD FULL BATH WITH LAUNDRY HOOKUPS IN LOWER LEVEL!! VINYL SIDING & PLENTY OF PARKING IN THE OVERSIZED PAVED DRIVEWAY!! 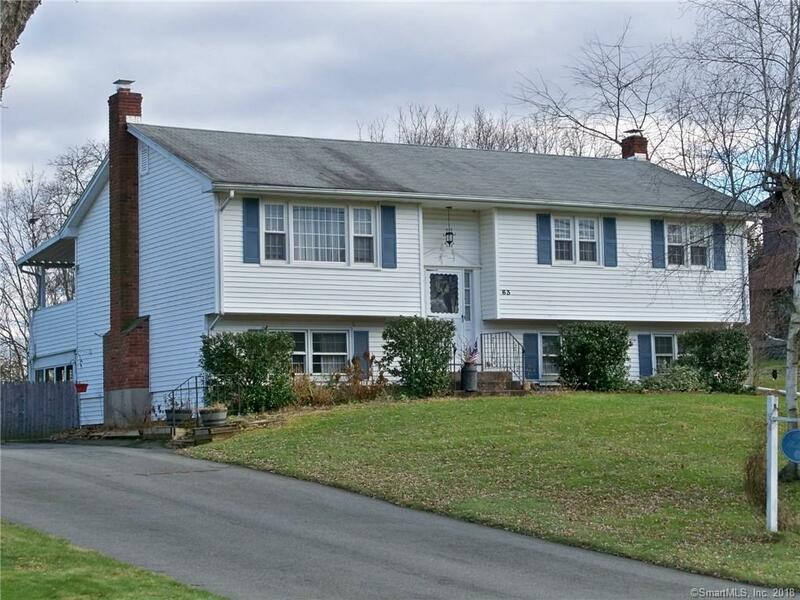 THIS HOME IS CLOSE TO SCHOOLS, SHOPPING AND HIGHWAYS!! TAKE A LOOK!! Directions: Route 68 To Hope Hill Road. House Is On The Left-Hand Side, Past Moran Middle School.